European Starllngs are the one of the first spring birds we see here in Alberta, Canada. When they arrive they are in their breeding plumage. When photographed in the right light they are a beatiful bird. 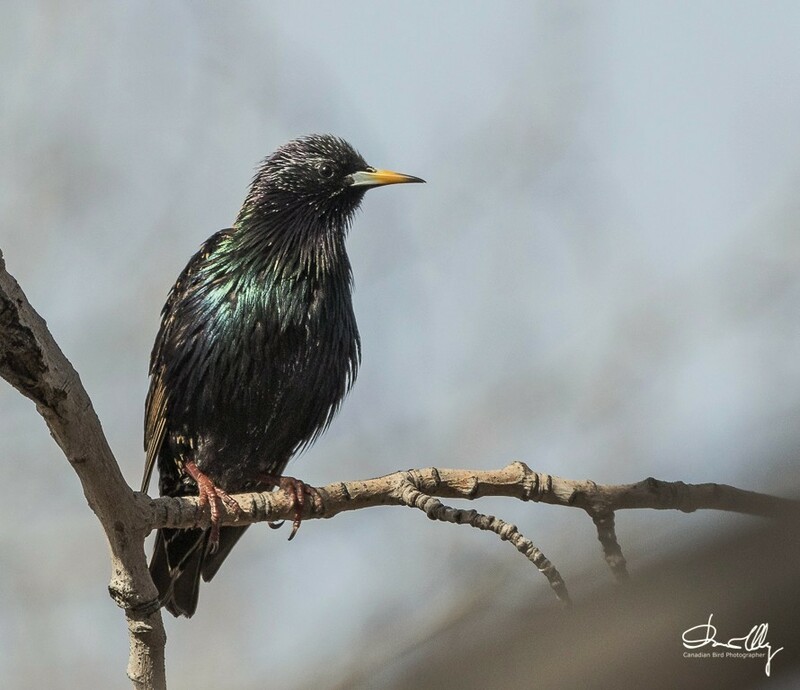 Interesting note about the Starling is they don't mott like other birds. Some times they need to take a bath. 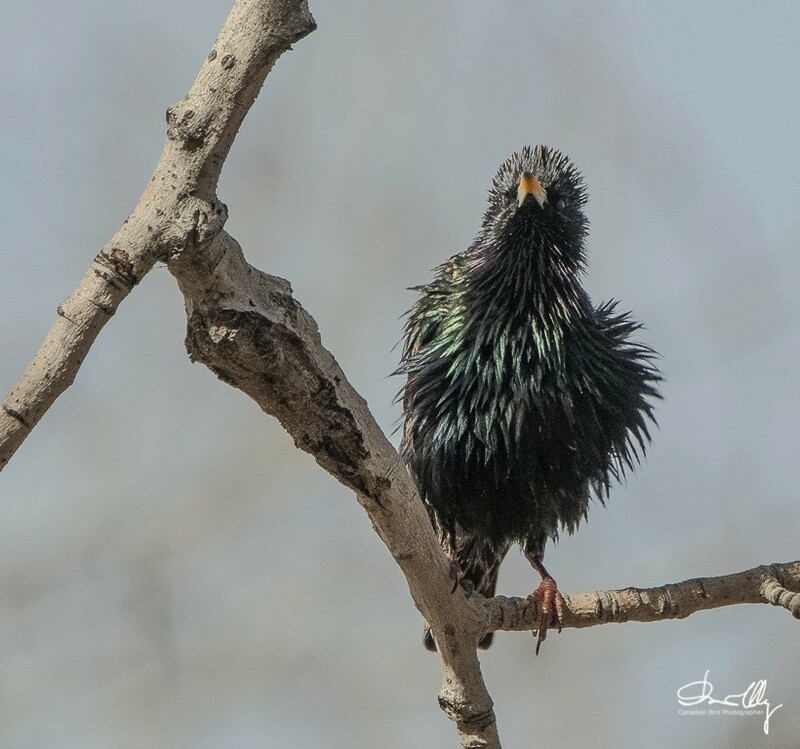 The Starling to the right just took a bath in the river and he or she looks like they had a bad hair day. 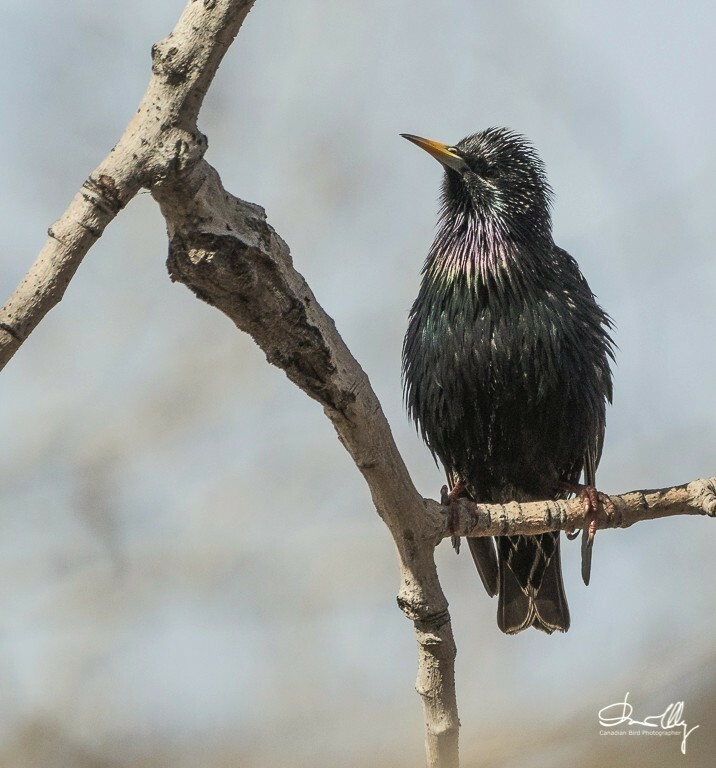 The best light to photograph Starlings is in a light overcast or a sunny day. Under expose the bird about -2 and adjust the exposure in post processing. If you expose as per the meter you wil blow out the highlights.